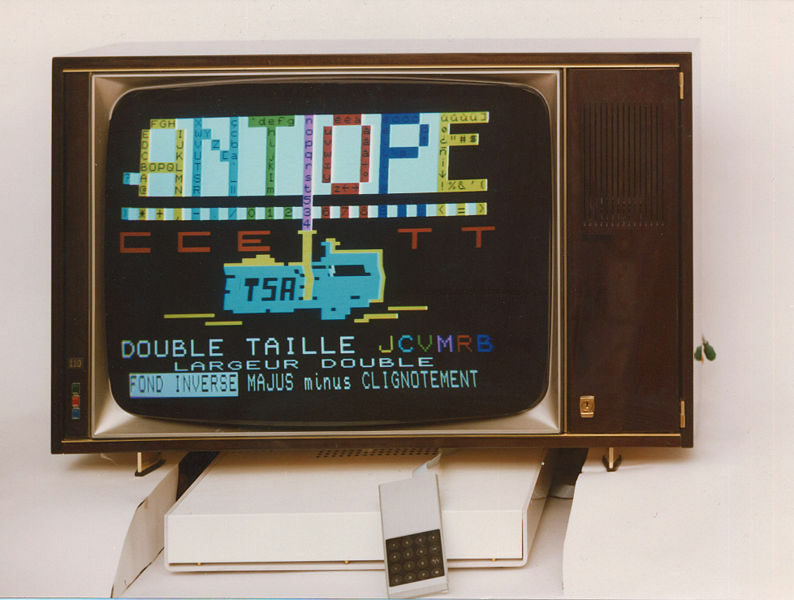 Antiope (1979) was a French competitor to teletext, which worked quite different from its main rival, the British Ceefax. 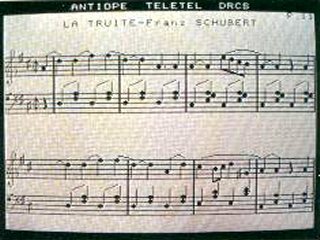 Antiope’s protocol was more similar to telephony. 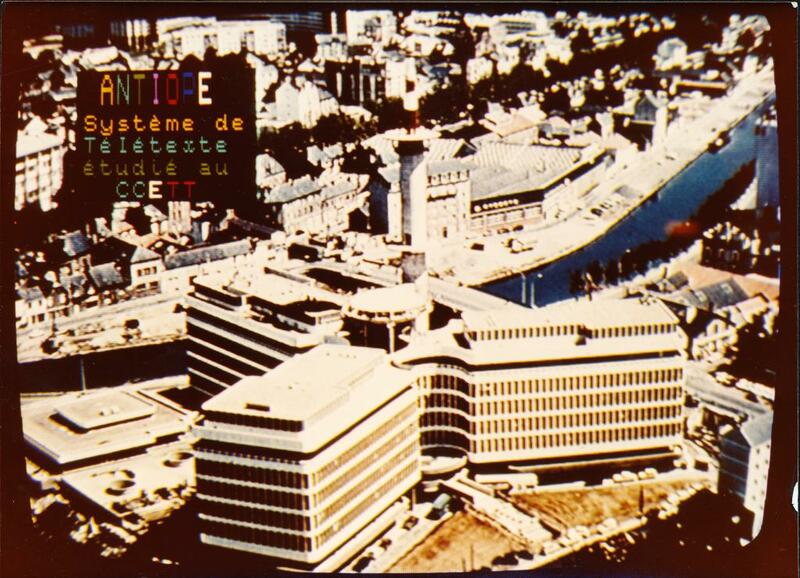 So, according to the French, it was not as “crude and old fashioned” as Ceefax, which used a frame-based television logic. In the top picture, you can see how large text characters could change colours even if they were right next to eachother. More importantly, you could change the character set by “down loading” them before the page was shown. 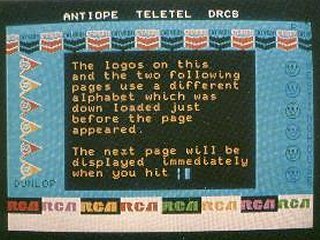 Eventually, the British would win the standardization war and proclaim World System Teletext.